Soulla, Founder of Soulshine Retreats offers a range of workshops and events with the intention of nurturing our Soulshine community and bringing the abundant toolkit taught as part of our Soulshine Retreat Programmes into the more accessible space of a workshop. Through Shine Bright Transformative Life-Coaching, Yoga, Mindfulness and an array of Insight and therapeutics practices, workshops aim to provide a supportive, inspiring, transformative and empowering experience for healing, growth and expansion, all within the safe embrace of our loving Soulshine community. During these deliciously long and reflective Yoga and Meditation sessions you’ll experience powerful, heart-opening and transformative soulful Yoga with music, readings, Meditation and Pranayama (breathing techniques) followed by blissfully calming Yin and Restorative poses and deeply restful Yoga Nidra. There will be a focus on integrating Mindfulness practices grounded in Self-Compassion and Transformative Shine Bright Life-Coaching practices for enquiry and clarity. Sessions will be themed in ways to invite enquiry into our inner narratives, patterns and beliefs with an intention of flowing towards greater self-acceptance, compassion, peace and ultimately joyful living. A truly Yin & Yang journey to inner balance. 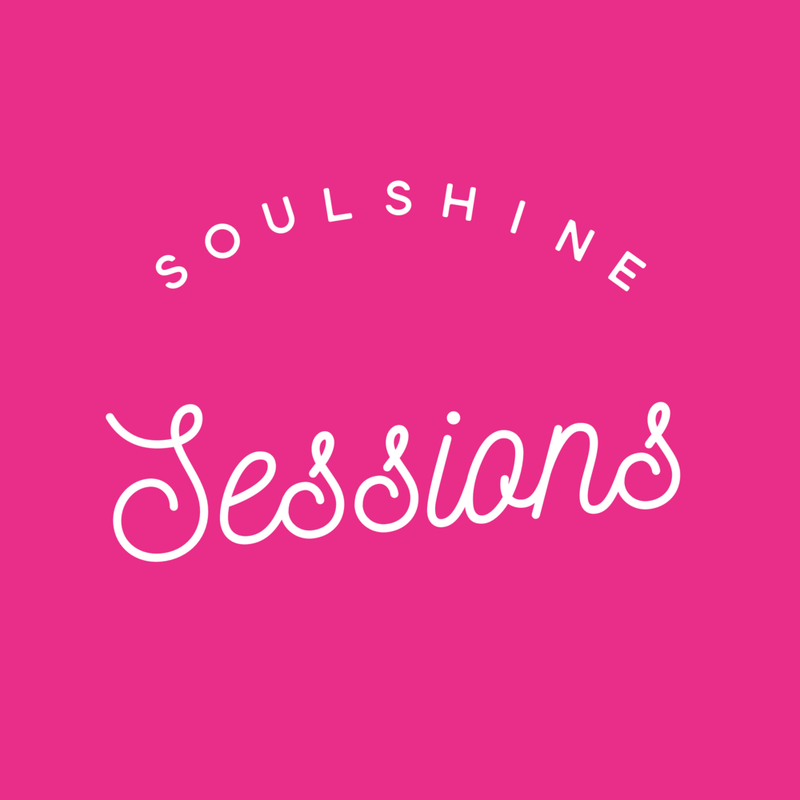 Shine Bright Sessions are simply extended versions of the Soulshine Sessions with greater focus upon Shine Bright Transformative Life-Coaching in addition to heaps of utterly delicious Yoga and Meditation. A deliciously long session to dive deep into self-care practices, think of this like a mini-retreat! Somewhere between a workshop and a retreat, these weekend experiences are borne from the desire to create a space for Soulshiners to truly immerse themselves in transformative practices but with the freedom of just one night away from home and with accommodation that matches your budget. We’ll travel to different cities for a weekend of diving deep into Soulshine practices in the form of Yoga, Meditation and Shine Bright Life-Coaching. Soulla will share many of all the tools from our Soulshine Retreat Programmes, with special guest teachers invited to maximise the soul-soothing potential of the weekend. There will be an optional group dinner for the Saturday night, so we can all hang with other lovely, like-minded Soulshiners. YUM! You’ll simply need buy your ticket for the weekend of workshop and then book your own accommodation and travel to match your schedule and budget. Easy peasy! Please note, there is a 30-minute break during this workshop. We recommend bringing water and a light snack for the break. Cafés can be found within walking distance. This workshop will be the same programme as the London Shine Bright Session on Saturday 24 November. Please note, there is a 30-minute break during this workshop. We recommend bringing water and a light snack for the break. Cafés can be found within walking distance. This workshop will be the same programme as the Manchester Shine Bright Session on Saturday 10 November. We will provide all yoga equipment during your workshop, but recommend that you bring some warm, comfy clothing (& socks) to stay nice and snug for final relaxation. Please note, we are not legally insured to teach any pregnant students Yoga. If you have any health issues or severe allergies that might impact upon your practice or time on a workshop, please get in touch to discuss directly before booking. Thanks so much. Please note, refunds can only be provided if we are able to fill your spot (we always endeavour to help achieve this). Much more than just a ‘yoga holiday’. These carefully curated retreats at our sumptuously luxurious centre in Ibiza provide the ultimate opportunity to pause from the crazy pace of modern day life. To rediscover and reconnect with your true nature and to let your soul shine (not to mention laugh lots, make new friends with like-minded people, snooze, sunbathe, explore, indulge in ridiculously yummy food and have an all round jolly old time! ).